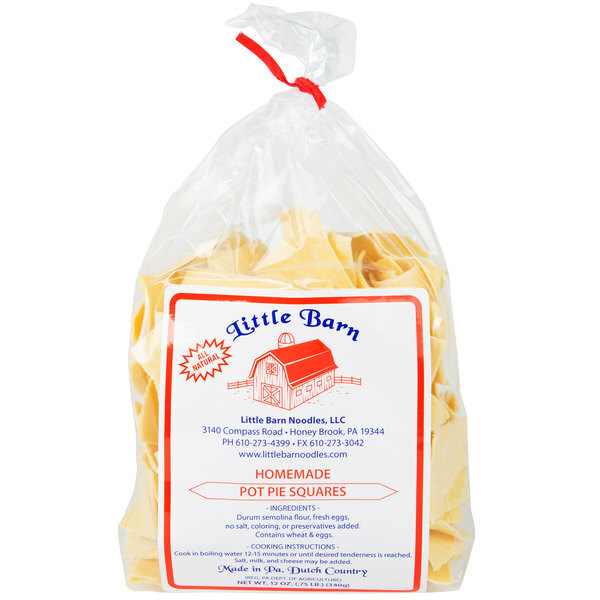 Prepare perfect chicken pot pie, every time, with these Little Barn Noodles 12 oz. homemade pot pie squares! A staple in Pennsylvania Dutch cooking, chicken pot pie combines onions, celery, carrots, broth, potatoes, and pot pie noodles with cooked chicken for a filling dish, full of comfort and nostalgia. These pot pie squares take the prep work out of pot pie preparation, featuring simple ingredients for a homemade taste. By combining superior grade flour and eggs, made from cage-free hens, in the perfect proportions, these pot pie squares ensure a versatile addition to your signature soups and pasta dishes. 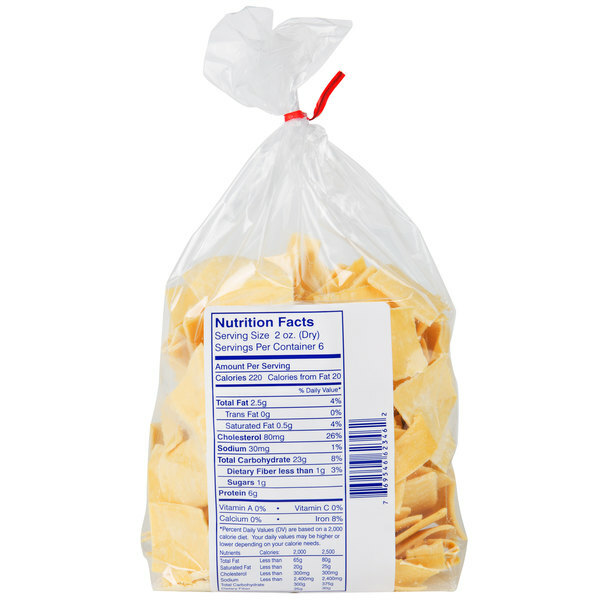 They contain no salt, coloring, or preservatives, and are easy to cook. To cook, simply place in boiling water for 12-15 minutes or until the desired tenderness is reached. 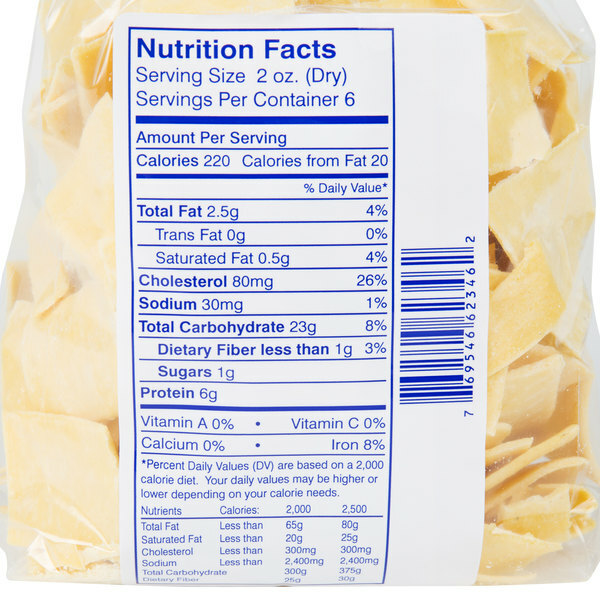 Add to the rest of your pot pie ingredients and you're done! 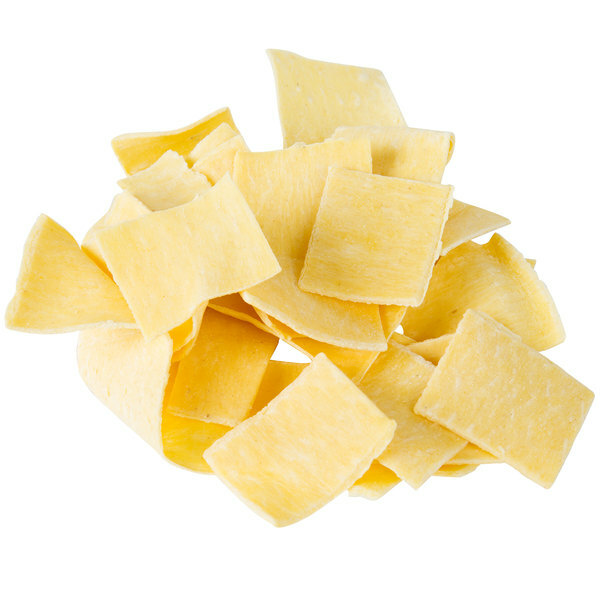 Made from a superior grade of flour and plenty of farm-fresh eggs, Little Barn Noodles makes it easy to offer homemade flavor and texture without all the prep work. 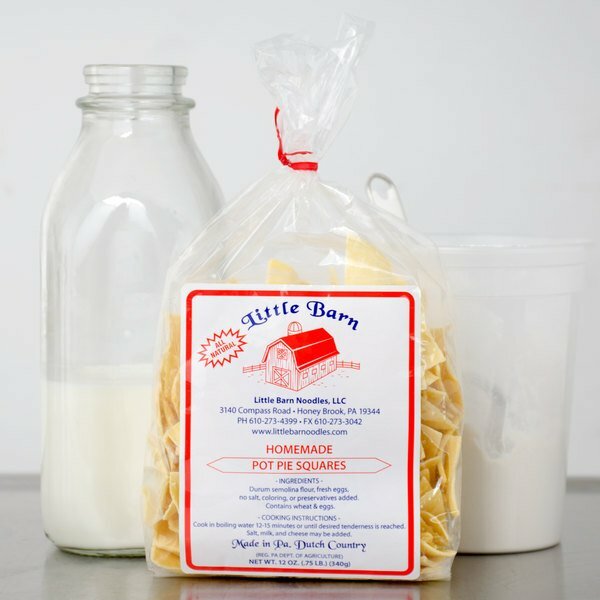 Nestled in the quaint countryside of Lancaster County, Pennsylvania, Little Barn Noodles is your source for quality noodles, just like grandma used to make. 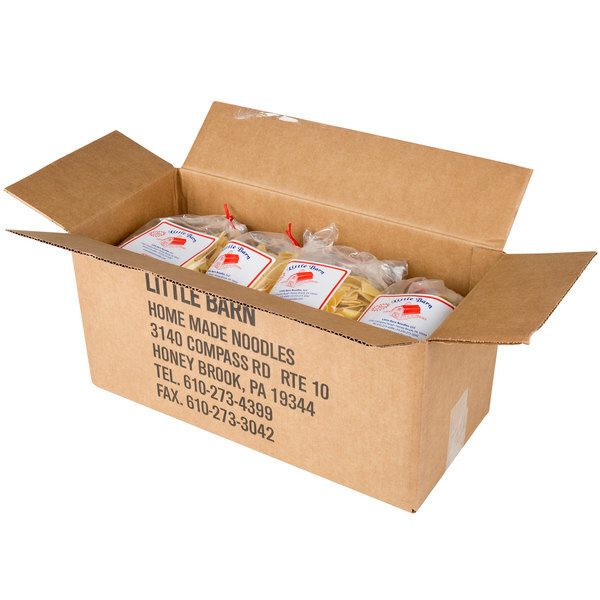 Provide your guests with the authentic, homemade taste of Pennsylvania Dutch with Little Barn Noodles.